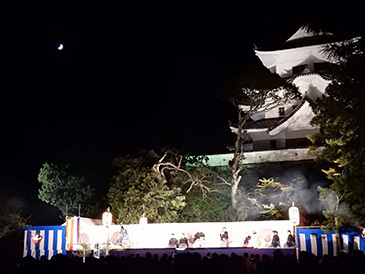 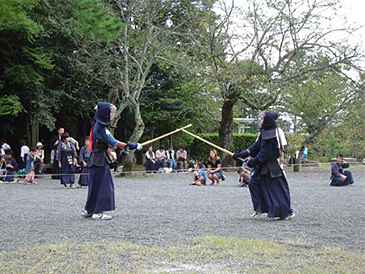 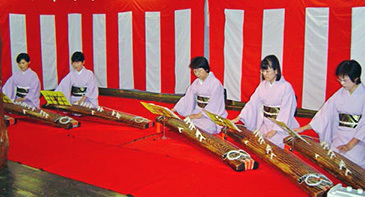 Traditional performances Noh and Kyogen are played in the harvest moon season every year. 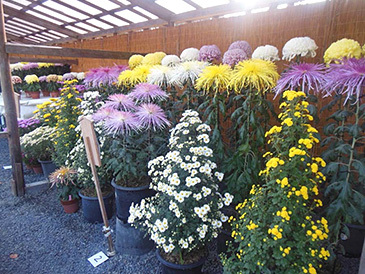 The exhibitiont is held from October 22 to November 7 every year. 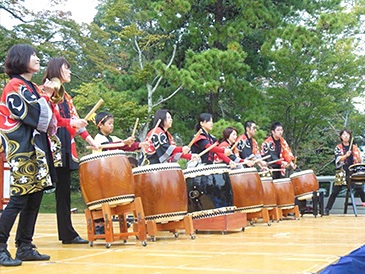 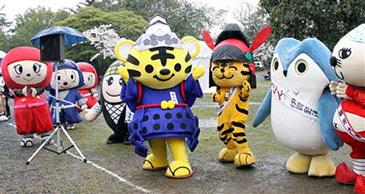 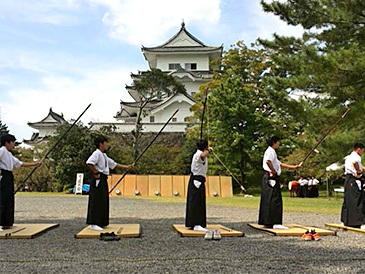 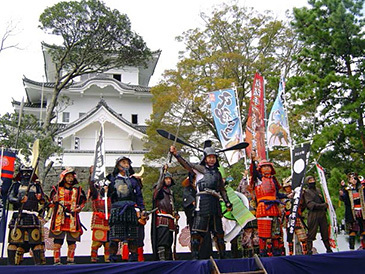 Every year in October, Japanese drum groups in Iga city play in this festival. 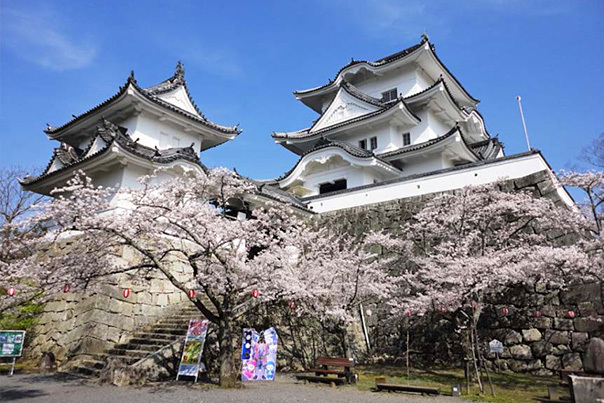 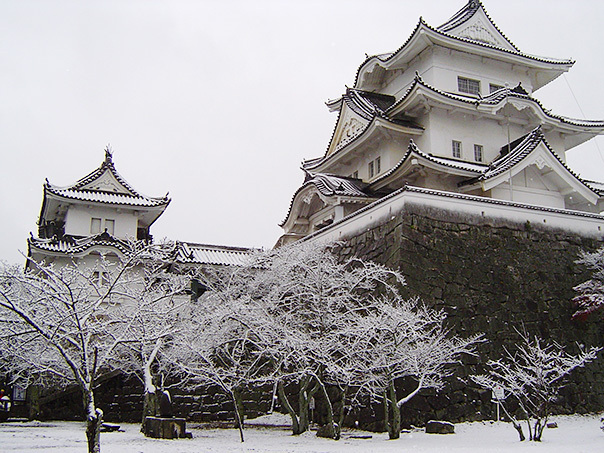 Copyright(c) Iga Ueno Castle All rights reserved.